Subsidies related services: elaboration of business plans & investment proposals requesting funding under European or National support schemes, financial monitoring of ongoing investments. 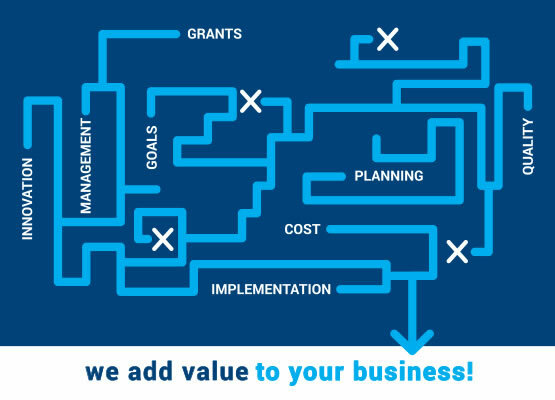 Management consulting services: feasibility studies, business plans, investment proposals, cost accounting, cash-flow, budgeting, cost reduction, e-procurements, business valuation, strategic planning, access to finance, planning & monitoring of business expansion in Romania, Moldavia, Bulgaria. Quality services: preparation for official quality systems, documentation for foods’ exports according to international regulations.